If you are part of a dynasty keeper league, you are probably hard at work on your fantasy baseball roster and asking yourself: "Who should I keep now?" Depending on the rules governing your league, you may need to carefully consider which players should remain on your roster. Remember, you will be looking for players with exceptional value based on their draft position from 2013. The 2013 season saw perennial staff aces like Jered Weaver, C.C. Sabathia and Tim Lincecum have sub-par years, making the starting pitching category all that more difficult to manage. Questions abound, such as: do you keep a pitcher like Weaver when it may cost you a fourth or fifth-round pick in your leagues’ 2014 draft? Can Sabathia be a dominant pitcher once more even though he may have lost a couple of miles off of his fastball? You can’t do any kind of analysis of baseball's best starting pitchers, especially if the analysis involves young starting pitching, without mentioning the Cardinals, Rays and Braves. Their farm systems keep on churning out top fantasy starters, year after year. Five of the 10 pitchers on our list come from those three teams, and Tampa Bay’s Matt Moore, who lost two miles per hour off of his fastball between the 2012 and 2013 seasons, just missed the cut. 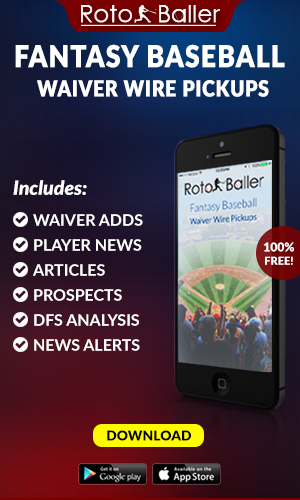 We’ve carefully analyzed the starting pitcher position and are happy to present the top 10 starting pitcher keepers that we feel will add real value to your fantasy team-- guys you should keep on your 2014 roster. 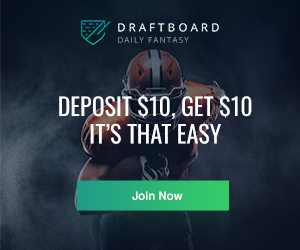 These are the types of players that you took either in the middle or later rounds of your draft, or players that you were able to pick up off of your league’s waiver wire, so keeping them will yield more fantasy value. We hope the following will help make your decision as to who to keep on your roster a bit easier. It is safe to say that there weren’t many fantasy baseball players who chose Jose Fernandez in their draft last season. 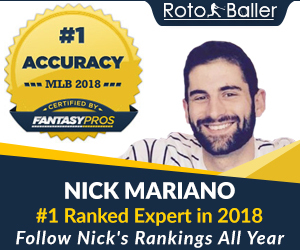 He now is considered one of the top five starting pitchers in fantasy baseball, and represents the epitome of value on your roster. Fernandez, the NL Rookie of the Year who was promoted from Class A ball directly to the majors, compiled some amazing stats, including a 12-6 record, an ERA of 2.19 and a 0.98 WHIP in his 28 starts. Fernandez used his four out pitches, including a four seam fastball, curveball, slider and changeup, to keep opposing batters to a measly.183 batting average against him. 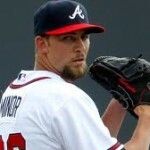 He finished third in the Cy Young voting, striking out opponents at a rate of 9.75 batters per nine innings. Other than the fact that Fernandez plays for a team that has one of the worst offenses in baseball, limiting his ability to help you in the win category, the sky seems to be the limit for this young phenom. Julio Teheran first full season in the majors had its ups and downs, but when the dust cleared the Braves were confident that their organization had found another pitching gem. After a rough start in April in which he posted a 5.08 ERA, Teheran settled down, developed his slider as well as a two- and four-seam fastball, and by the end of the season his numbers were more than respectable. He finished the year with a 14-8 record with a 3.20 ERA and 1.17 WHIP. 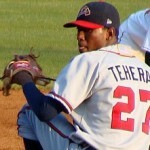 As a fly ball pitcher, he is susceptible to the long ball, but at only 22 years of age, Teheran is still developing his skills and should remain on your roster. Before the start of the 2013 season, Alex Cobb was considered a starting pitcher best suited for the back of the Rays’ rotation. Most fantasy owners, if they even drafted him at all, chose him very late in their drafts. Cobb joins a long list of talented fantasy baseball players developed through the Tampa Bay farm system. Through his first 13 starts, Cobb effectively mixed his fastball, change and curve, and compiled a 3.01 ERA and 1.16 WHIP. He missed two months in the middle of last season due to a concussion after he was struck in the head by a line drive, but did not skip a beat upon his return to the Rays’ starting rotation. He finished the season with an 11-3 record, a 2.76 ERA and a WHIP of 1.15. With a strong team behind him, he should help your team as a four category contributor. 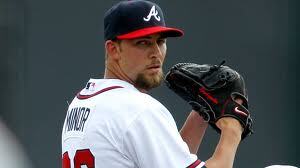 In describing Mike Minor’s 2013 season, the word that comes to mind is "improvement." He lowered his ERA to 3.21, down from 4.12 in 2012. He also was able to lower his walk rate to 5.6, down from 7.7 in 2012, and he threw over 200 innings for the first time in his major league career. He used his four-pitch mix, which includes a fastball and straight changeup, to post a career-best 13 wins. The one area that Minor still needs to improve upon is his susceptibility to giving up the long ball. The 22 home runs Minor allowed in 2013 were down from 26 the previous season, and are due in part to his being a fly ball pitcher. 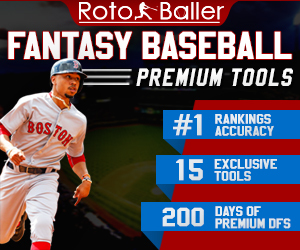 Minor should easily be able to post double-digit wins again in 2014, and he should also help your fantasy team in the WHIP and ERA categories while posting strikeout totals. It looks as if the Braves have done it again! Hold on to him. Gerrit Cole, the former 2011 first overall pick, lived up to expectations as he used his fastball, regularly registered in the high 90s, and sharp slider to put together a phenomenal first season. In 19 starts, “Cole Train” compiled a 10–7 record, with a 3.22 ERA and 1.17 WHIP. His 7.67 K/9 is a little lower than what you would expect for a power pitcher, but he makes up for it with high ground ball and low walk rates. An improved curveball and changeup, along with his already outstanding repertoire, will help Cole to continue on his quest to be the ace of the Pirate staff for years to come. Definitely a keeper! By all appearances, Shelby Miller is a potential future ace. He broke out of the gate in 2013 like a bat out of hell, posting a 2.08 ERA and 0.96 WHIP over his first 14 starts. From there, the Cardinals scaled back his workload, but he still he exceeded his career high in innings, which may explain why he only pitched one inning in last year’s playoffs. He did have a fine season, finishing with an overall 15-9 record, a 3.06 ERA, a 1.21 WHIP and an 8.78 K/9. Some fantasy owners may worry about the fact that his name was mentioned in offseason trade rumors, but we still feel that Miller has the potential to develop into a future staff ace and should be kept on your roster. Michael Wacha appeared in 15 games last season, starting nine, but he sure did make the most of his small sample size. He ended the regular season with a 4-1 record, a 2.78 ERA, a 9.05 K/9 and a 1.10 WHIP, and Wacha pitched just as well during the postseason. 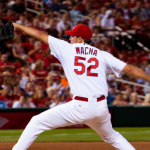 Wacha uses his pinpoint control along with his fastball and changeup to keep hitters off balance. He didn’t start his first major league game until September, and found his way onto your roster as a pickup off of your league’s waiver wire, but at only 22 years old he definitely provides value to your fantasy team for the upcoming 2014 season, and possibly for years to come. Many wondered why the Dodgers would sign Hyun-Jin Ryu, who at the start of last season was considered a back-of-the-rotation starter, to a six-year, $57M contract. Ryu answered his critics by mightily contributing to the Dodgers second-half surge, helping them to the NL West title. Having won a spot in the Dodger rotation last spring, Ryu jumped out to an impressive start, pitching to a 12-4 record with a 2.95 ERA and 1.22 WHIP through his first 24 starts. He did suffer a misstep over the latter part of the regular season, falling to 2-5 over his last seven starts, but he finished the season with an overall 3.00 ERA and 1.20 WHIP. Ryu mixes his pitches well, utilizing a low-90s four-seam and two-seam fastball as well as a good changeup, curve and slider. He simply knows how to pitch and displays excellent command of his pitches. He should post another fine season with double-digit wins. After starting 17 games in 2012 and compiling a 4.54 ERA, 1.33 WHIP and a lowly 6 -8 record, Patrick Corbin was most definitely not on your radar during last year's draft. What we didn’t know about Patrick Corbin was that he was a fighter who battled his way onto the Arizona Diamondback rotation. He started the season with a 13-3 record and a 2.45 ERA before suffering a late-season meltdown with a 1-5 record and an ERA of 8.00 over his last seven appearances. His second-half slide could be attributed to the fact that he had thrown only 107 innings in 2012 and the jump to 208.1 innings was too much, too soon. Nonetheless, he still managed to lead the Diamondbacks in wins and he pitched at least six innings in all but six of his 32 starts. 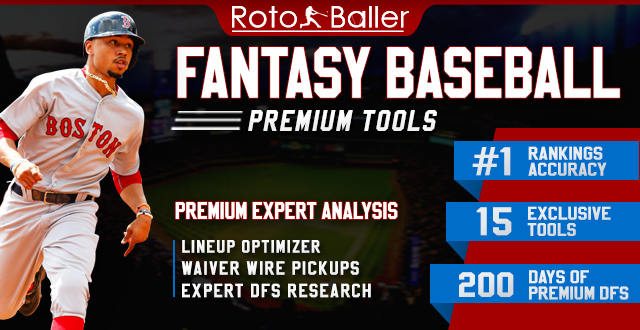 With better innings management, Corbin is poised to have another good year, and he deserves a spot on your fantasy team. Danny Salazar made his major league debut at age 23 in July of last season, and by August he was probably either on your radar or on your roster via a waiver wire pickup. Salazar used his four-seam fastball, changeup and slider to put up some very impressive numbers. He struck out 65 batters in 52 innings for 11.3 K/9, and pitched to a 3.12 ERA and 1.13 WHIP. Salazar does have a propensity to give up a few home runs due to a high fly ball rate, and the Indians may look to limit his innings in 2014, but he still should be considered a keeper based on his tremendous upside.